Bioré Baking Soda Pore Cleanser is an every day liquid cleanser that deep cleans and exfoliates dry, flaky, skin, letting skin feel clean, soft and smooth. 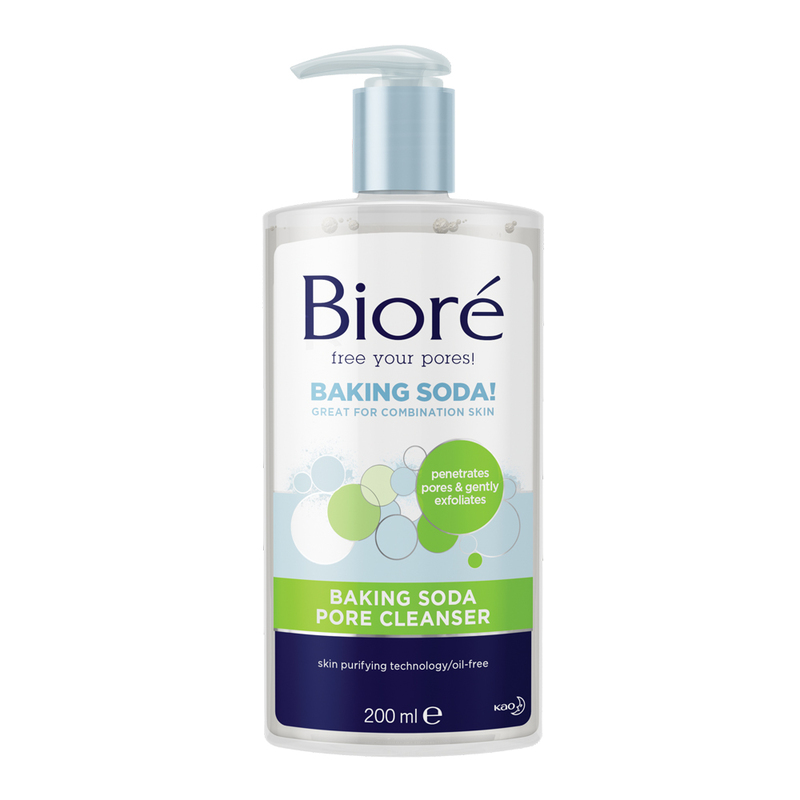 Bioré® Baking Soda Pore Cleanser deep cleans to remove dirt and impurities from the pore while gently exfoliating away dead cells to reveal smooth, healthy-looking skin. A non to minimal scented, gentle exfoliant scrub. I found myself reaching for this daily over other products due to how nice it left my skin as well as the minimized appearance of my pores. This Biore Baking Soda Pore Cleanser is a wonderful cleanser. It doesn't feel harsh on my skin at all when washing my face. I usually use this i the morning in the shower. I previously used the Biore Charcoal Cleanser but found that it dried out my skin too much and so I lost my confidence in the Biore branding. So switching to this baking soda one I'm pretty happy as my skin feels clean and not stripped. It does make my skin also feel so smooth, so the gentle exfoliation, as promised on the bottle, works. Very happy to use this as an every day cleanser. This cleanser is very gentle on skin yet effective at removing all traces of makeup and impurities on skin. It comes out of the bottle as a clear/opaque gel with exfoliating particles in it. It feels gentle against my skin and does not cause any irritation. It is not harsh smelling and it gets the job done of thoroughly cleaning my skin. I do a double cleanse with this product which seems to work well for my skin. It removes the entire days foundation as well as any dirt on my skin. It does not dry my skin out which is important. I have not noticed a reduction in breakouts unfortunately however the product does help to keep my face clean. Overall a good inexpensive cleanser. Impurities aren't pretty! With it's ability to deep clean and naturally exfoliate, baking soda is the answer to those dirty little secrets. Biore Baking Soda Pore Cleanser deep cleans to remove dirt and impurities from the pore while gently exfoliating away dead cells to reveal smooth, healthy looking skin. The Biore Baking Soda Pore Cleanser comes in a clear plastic 200ml bottle with a light blue pump dispenser. The consistency of the cleanser is that of a thick gel, it is easy to dispense from the pump with no issues of clogging. The colour of the gel is cloudy-clear; the scent is light and inoffensive. It is not heavily perfumed and does not linger on the skin. This is a foaming gel cleanser; it does contain SLS (Sodium Laureth Sulfate). It foams up well; not a lot of product is needed to get a good lather, especially if being used with a cleansing device. About the size of a 10c coin will be sufficient for a full cleanse. I recieved this in a showbag, it is not something that I would normally seek out to purchase as it is recommended more so for combination skin types and I thought that this cleanser may be too drying for my skin. I was pleasantly surprised by this cleanser, it actually worked quite well for my skin type. It provided a thorough deep cleanse without leaving my skin feeling dry, tight or stripped. I was initially worried that this may be too harsh for my skin but I found it to be quite good. I used this with my cleansing device and found it to foam up very well, only a small amount is needed per application. I removed all of my makeup beforehand prior to using this cleanser so cannot specify how it will perform in terms of makeup removal. It works beautifully to remove any residual traces left behind from my makeup remover. After using the cleanser my skin was left feeling deeply cleansed and smooth; not at all dry, tight, stripped. I did enjoy using this cleanser, although I am not the intended market for it I found it to work quite well. I experienced no dryness, irritation or breakouts while using. It provided a thorough deep cleanse and left my skin feeling quite smooth afterwards. I would consider purchasing in the future and I do recommend. This cleanser comes in a plastic bottle with a pump dispenser, and it is a clear gel. I keep this in my shower and use it every night to ensure I have some level of exfoliation. It is not strongly scented. I have normal skin and this cleanser does not dry out my face. Using this cleanser I feel like I have less black heads than usual. Also it is very affordable thus I use it as a body wash sometimes. My skin really feels clean after using it. Lives Up To Its Claims! This cleanser is a transparent gel with white tiny exfoliating dissolvable beads that is gentle on my dry/dehydrated skin. It lathers up quickly and leaves skin feeling soft, smooth and radiant. The exfoliating beads are gentle that it cleanses the pores well after first use. I often incorporate this in the evening and every other time in my morning skincare routine. The formulation isn’t harsh on my skin type and when I experience dry skin, this has actually helped to soothe down any inflammation I may be experiencing at the time. A great budget friendly cleanser that lives up to its claims and I’m happy to continue using it until it’s empty. This was a good brand rediscovery and from recollection, Biore did help to sort out my teenage acne back in the day. This pore cleanser is suitable for normal, combination, dry and acne prone skin types. I have been using this product for months and must say that either my skincare routine is a failure or this product is not for oily skin. My inexperienced thought was that this oil-free deep cleansing cleanser would be great for my oily skin but unfortunately it just isn't for me. I don't feel like it has helped reduced the excess oils shining on my forehead (a dermalogica consultant told me that my skin is not excessively oily). I do love how the exfoliating component is so smooth on your skin and when first used it made my skin feel real fresh. No strong smell over powering the bathroom upon use. I love love love all of Biore's range and this one is one of my favourites along with the charcoal cleanser. It smells super pretty and work hard on the skin to clear all the gunk and yuck out of it. It has a minty kind of sensation so it feels like it getting deep down to the pores to clean it out which is great for my acne prone skin. This cleanser really triggered my sensitive skin. It had quite an unpleasant tingling sensation while on. It does work hard to remove dirt, oil and other impurities but I found it too harsh on the skin, completely stripping it. After washes my face would feel tight and dry. The exfoliating beads feel nice, and I also enjoyed the fresh, citrus scent. No complaints about the packaging or price either. Overall I think it's an average cleanser but I haven't been reaching for it after a couple of uses. As the review mentioned you could re-purpose this as a body wash for bacne. I think it would cleanse the back well.  I had high hopes for this cleanser and I usually enjoy Biore products. I can't say I loved this one. This advertises to be a gentle skin cleanser made with baking soda to purify the skin. I didn't find this product to be gentle on my face at all! I only used this on my face for about a week because the redness on my face was unbearable and I don't even have sensitive skin! My cheeks especially, were so red and dry after every use of this product that even my usual moisturiser couldnt calm my skin. I did enjoy the light scent of this product as it smells clean and fresh and even the feel is satisfying. It contains very tiny microbeads to exfoliate. Although I can't recommend this as a facial cleanser, I have been using the remainder of my bottle as an exfoliating cleanser on my shoulders and upper back. For this purpose I do like the product, it is a nice gentle purifying cleanser on these areas of the body but was just too harsh for my face. This is my backup cleanser for when I run out of my usual cleansers (I have a couple of on rotation), or for when my skin is breaking out. It's got a nice clean scent, and it cleans my face well without leaving it dry and cracking. I use it in the mornings in the shower to wake myself up. I find that after a couple of days of using it, my breakouts become less inflamed and disappear more quickly. This is also a very good cleanser for make up removal. And occasionally, I also use it as a body wash. It leaves my skin feeling smooth and clean. Good as a body wash too! Normal skin, combination skin, skin that is slightly prone to breakouts. I picked a couple of bottles of this cleanser up during Priceline skincare sale, not knowing that it will become my HG cleanser. I knew baking soda is great for cleaning the pores but never got myself to take it out of my kitchen cabinet to use it. When I saw this cleanser, I thought of picking it up as the price was great and I do not have to think about making a DIY baking soda paste. After the first wash, my face felt clean but I did not notice much difference other than the clean feeling. After a week, I noticed that my deep-rooted blackheads had started coming to the surface which really made me feel that this stuff was working. Within 2 weeks time, I felt my skin was less congested and was clearing up. I have been using it ever since, though I reduced its usage to once a day (night time only) instead of twice and use a different cleanser for the morning as I felt using it twice a day was drying out my skin. I had been using a charcoal scrub for a few months when Biore introduced their charcoal cleanser, I needed a break for scrubbing every day but found the charcoal cleanser caused me to break out a little bit. I love Biore products so when this came out I couldn't wait to try it, the same Biore cleaning power but a little more gentle on the skin. It has been a great cleanser, my skin always feels really clean when I use this, it removers makeup like a dream and takes away any excess oil without drying my skin out. I am currently on a cleanser prescribed from a dermatologist but i use this in-between when I need something less harsh or need to quickly remove my makeup before bed after a long day at work or a girls night out. If you suffer from small breakouts and black heads this is a great cleanser. Simply wash your face, apply the cleanser and rinse! Easy peasy. I prefer to use this product in the shower as it seems to work better when your pores are a little more open. Any one with combination skin that finds the typical break out prevention cleansers too harsh on their skin. This cleanser is a lot similar to the Biore Charcoal Cleanser! I had used the Biore Charcoal Cleanser since it had come out to about late last year. It worked a charm for me, left me skin soft, cleansed and what I loved most about it was the feeling of it on your skin!. After a long period of using it, I realised it was too drying for my skin, so I changed my cleanser to the Cetaphil gentle cleanser! Once Biore released another cleanser but for people with dry/combination, I knew I had to test it out! This Biore Baking Soda Pore Cleanser is an amazing holy grail skincare product of mine! It's very soft on the skin and leaves it soft, extremely cleansed and definitely isn't drying! I have also told my niece who has trouble skin to test this out and the effect so far is very good, her acne is slowly clearing up! The smell of this cleanser is very nice and somewhat unique, but its unique in a good way! Highly recommend for people with dry skin who are looking for an amazing cleanser!